Moving from less healthy eating habits to a healthier diet can lower total and LDL (low-density lipoprotein or “bad”) cholesterol levels, which translates into lower heart disease risk for most people. Many people with high cholesterol struggle to completely overhaul their diets to measurably lower LDL cholesterol levels but one study suggests that one simple change may be all it takes. A weight-loss diet that provided 500 fewer calories than needed to maintain each person’s usual body weight and included two servings per day of a whole grain oat cereal. The cereal provided 3 grams per day of a soluble fiber called beta-glucan. A weight-loss diet that provided 500 fewer calories than needed to maintain usual body weight and included low-fiber foods of the same caloric value as two servings per day of whole grain oat cereal. The two diets were identical in terms of total calorie goals. Both provided 500 fewer calories than required to maintain each participant’s usual body weight. 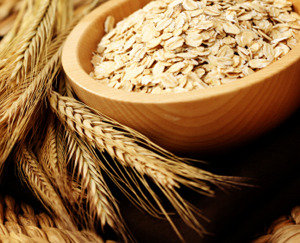 The oat cereal group lowered total and LDL-cholesterol levels. Changes in high-density lipoprotein (HDL, or “good”) cholesterol and triglycerides (fat in the blood) were not significantly different between the two groups. Both groups lost about the same amounts of weight. The oat cereal group had significantly larger reductions in waist circumference than the diet-only group. Simply eating two servings per day of a whole oat cereal more than doubled the LDL-cholesterol-lowering benefits of weight loss. The cereal nearly doubled total cholesterol-lowering benefits as well, without affecting levels of good cholesterol. The weight loss in the cereal group appeared to come more from the waist area than in the diet-only group, which is important. Carrying fat around the midsection is more detrimental to health than fat in other body areas. Midsection, or visceral fat, increases the risk of heart disease, diabetes, and some cancers more than subcutaneous fat, which is typically found in the thighs and bottom. This study shows how small changes can lead to big health improvements. Try the following to put oats to work in your diet. Put Cheerios on the menu. This was the cereal used in the study. Stick to plain, original type and skip the sugary, flavored versions, which add empty calories. Try eating oats in other forms too. Oatmeal makes a healthy, hearty breakfast. Try plain oatmeal with raisins and walnuts, or frozen blueberries or bananas. Sprinkle oatmeal or cold cereal into yogurt for a quick snack. Always aim for a healthy body weight and regular exercise, both of which help keep cholesterol levels in the healthy range. Never stop taking your cholesterol-lowering, or any other, medication without first talking to your doctor.